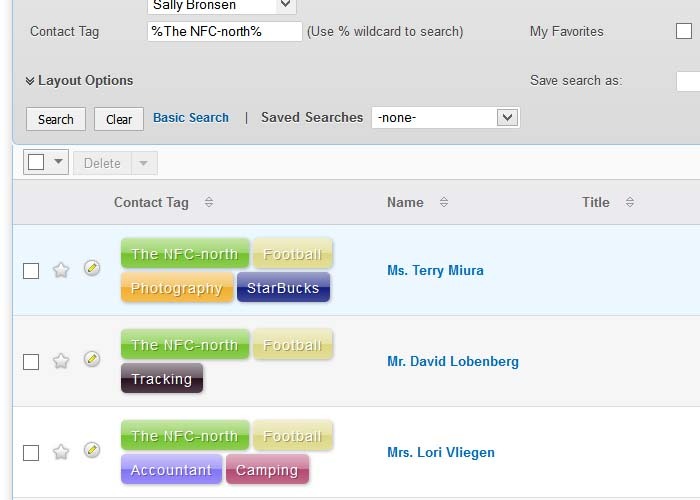 Add tags to Notes, Contacts, or any other module to easily find the record you are looking for. Just type in the tag and click on the generated tag to accept. Click on tag in Detail View of any module, e.g. 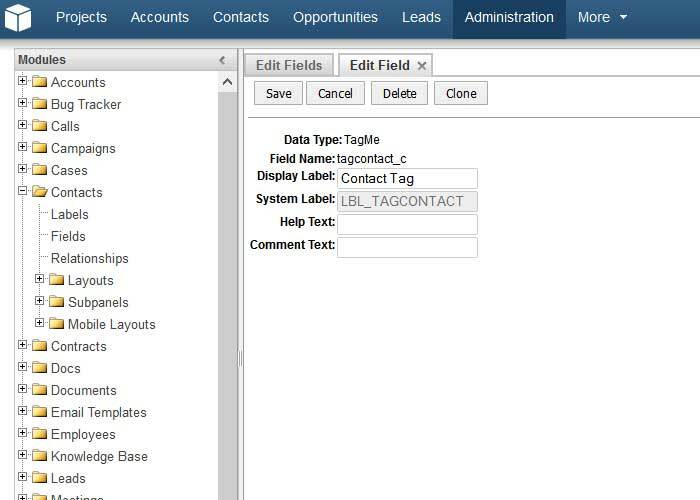 Contacts, and you will have the list of Contacts having that tag (assuming that the Tag field is available in Advance search), or use Advance Search. 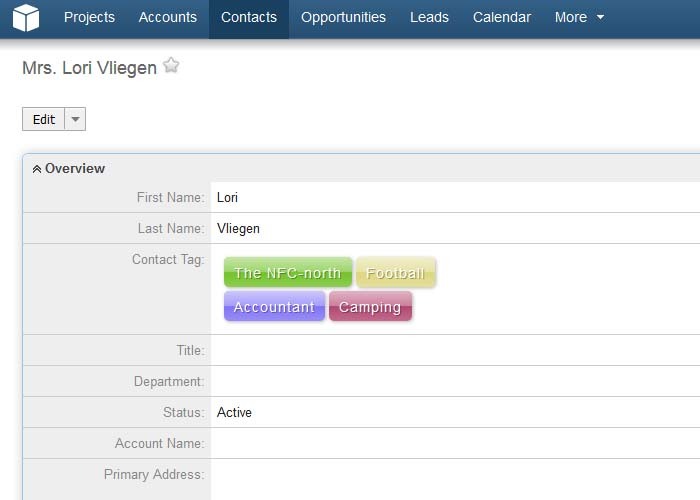 In addition to visually identifying tags, you can search for any tag by adding the field to your search forms. When searching simply wrap your search terms with the wild card. A search for "The NFC-north" would be entered as "%The NFC-north%". All records with that tag will then return. 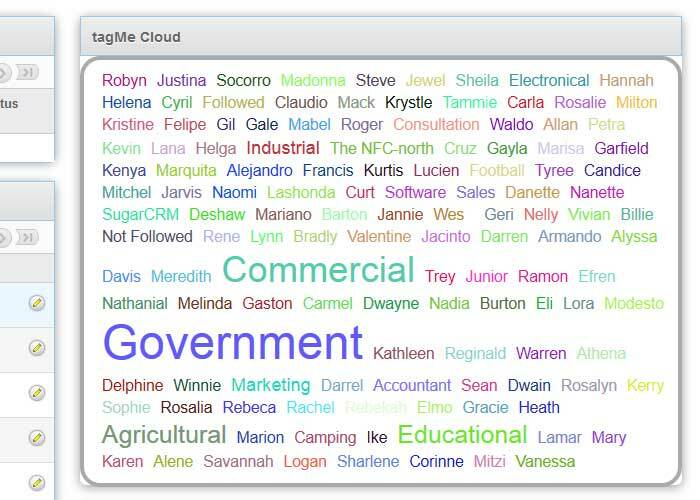 You have a new dashlet named “tagMe Cloud”, which gives insight of tags used system wide. Often the tag is used, bigger the tag size will be in dashlet. You may drill down the data by tags from dashlet. 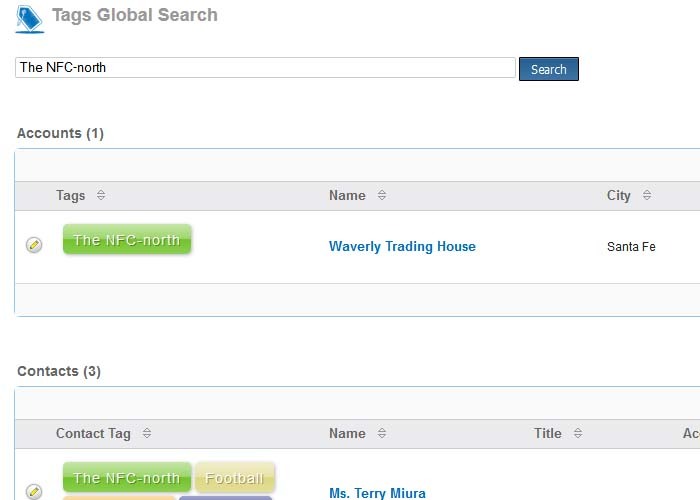 Click on a tag, and it will show up a page showing all records across the system having that tag e.g. 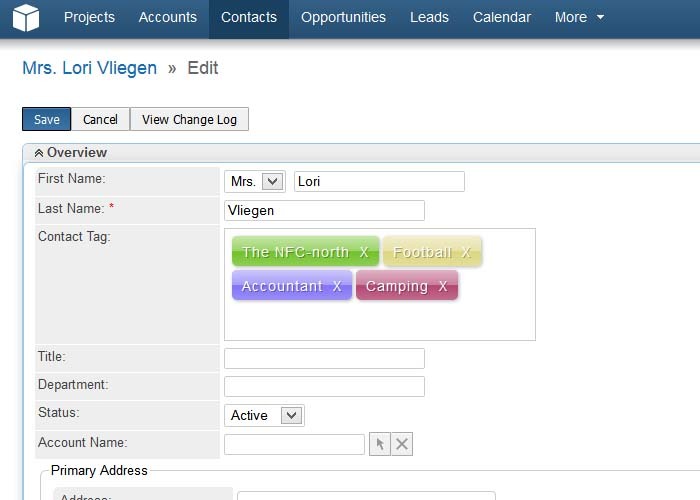 Contact, Accounts, Opportunities etc..
You can now add or replace tags using a new action in list view. If you choose “Add”, new tags get added to selected records. 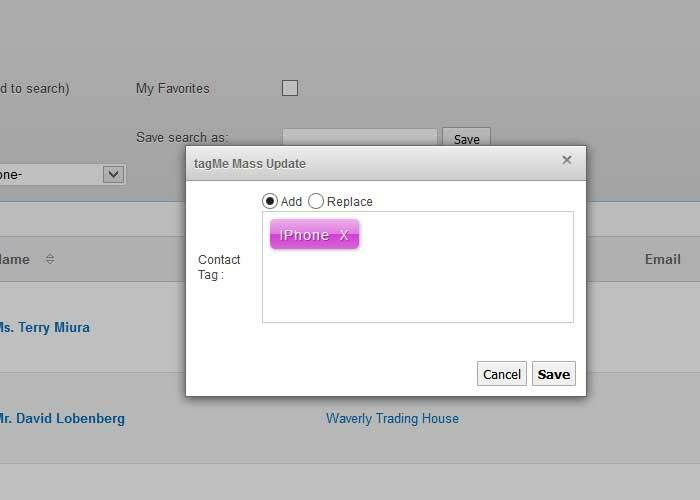 If you choose “Replace”, it will delete old tags and assign new tags. TagMe adds a new field type to Studio that you can add to any module. New version allows you to import tags! You can enter multiple tags for a record by comma separator tags.